Video latency can have a huge impact on how viewers experience live video. Consumers that watch their favorite sporting event online can learn what happens on social media before they see it live. Talk about spoilers! 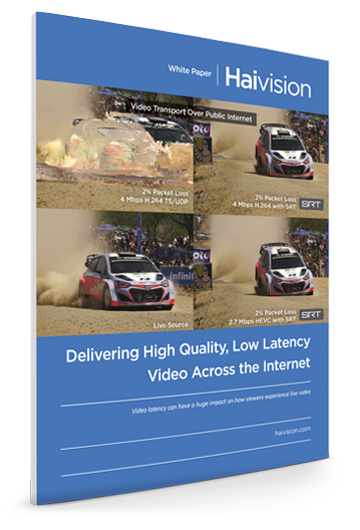 In this white paper, we examine key factors to consider when delivering video using the public internet. With the right planning and technology choices, video system designers have the tools and options available to build high-quality, low-latency live video streaming workflows for delivery over the internet – even for the most mission critical or interactive scenarios found in broadcast, remote collaboration, enterprise live events, defense and many other scenarios.